Letv Le 1S has rocked the Indian market and best selling Indian smartphone in a week. Now launched the successor of Letv Le Max as Letv Le Max 2. Letv has launched Letv Le Max 2 featuring 6GB RAM, Snapdragon 820 processor in China along with Letv Le 2 and Letv Le 2 pro. Now Letv Le Max 2 launched in India at Rs. 22,999(4GB of RAM+ 32GB ) and Rs. 29,999 for (6GB RAM+ 64GB) and Letv Le 2 at Rs 11,999. Letv Le 2 is available in China at CNY 1,099 (Approx. Rs. 10,999), Letv Le 2 Pro at CNY 1,399 (Approx. Rs. 13,999) with Helio X20 and CNY 1,499 (Approx. Rs. 14,999) with Helio X25. On the other hand, Letv Le Max 2 at CNY 2099 (Approx. Rs. 20,999) for 4GB RAM+32GB, CNY 2,299 (Approx. Rs. 22,99) for 4GB RAM+64GB and CNY 2,499 (Approx. Rs. 24,999) for 6GB RAM+64GB. It will counter Samsung, HTC, Sony and Apple in high-end smartphone market. The all new Letv Le Max 2 supports fingerprint Scanner, Dual-SIM(LTE+LTE), Micro SIM and Nano SIM, 4G LTE, 3G, Wi-fI, Wi-fi Hotspot, Bluetooth,GPS and USB Type C, comes with a bigger 5.7-inch QHD (1440×2560 pixels) IPS display with Corning Gorilla Glass 4. It’s powered by the fastest on 64-Bit Snapdragon 820 processor runs on Android 6.0 Marshmallow with EMUI 3.1 skin on top. Letv Le Max 2 comes with a 4GB/6GB, 32GB/64GB/128GB Internal memory sporting a 21-MP rear camera Sony IMX300 with flashlight and auto-focus, 4K video recording at 24fps and F2.0 aperture, and 8-MP front camera. It’S packed with 3100mAh battery with C type Quick Charge 3.0. At last few honest word, Letv Le Max 2 is coming rock and rule the world market. What you think? 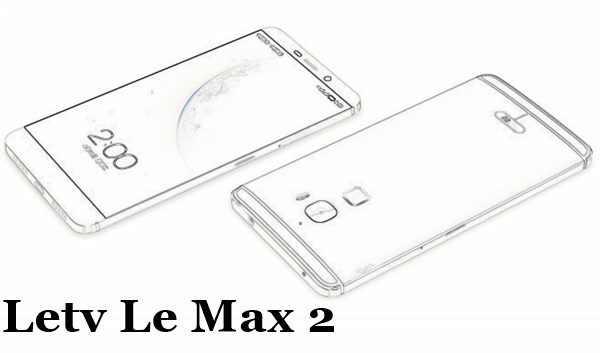 Please be open to give your view about your opinion for the new Avatar of Letv Le Max 2.